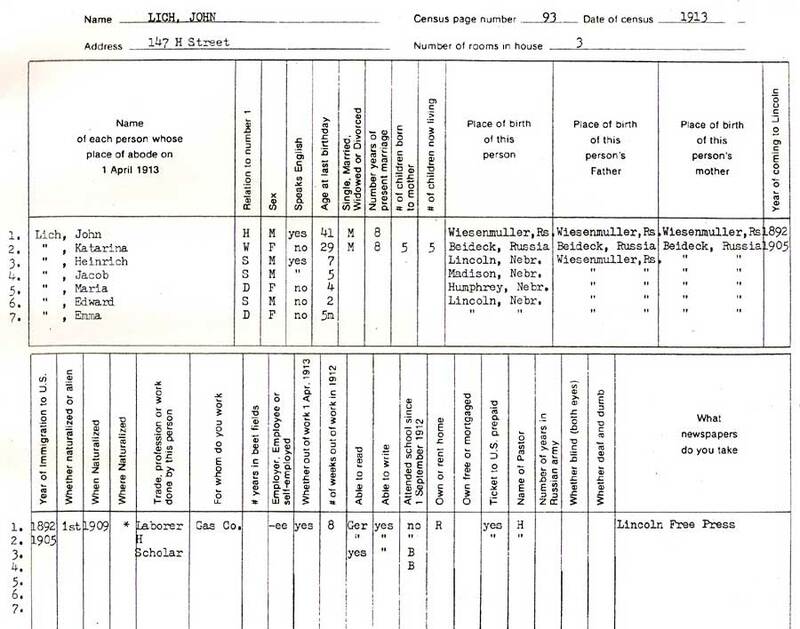 Hattie Plum Williams survey of Germans from Russia living in Lincoln, Nebraska began in late 1913 and continued through 1915. 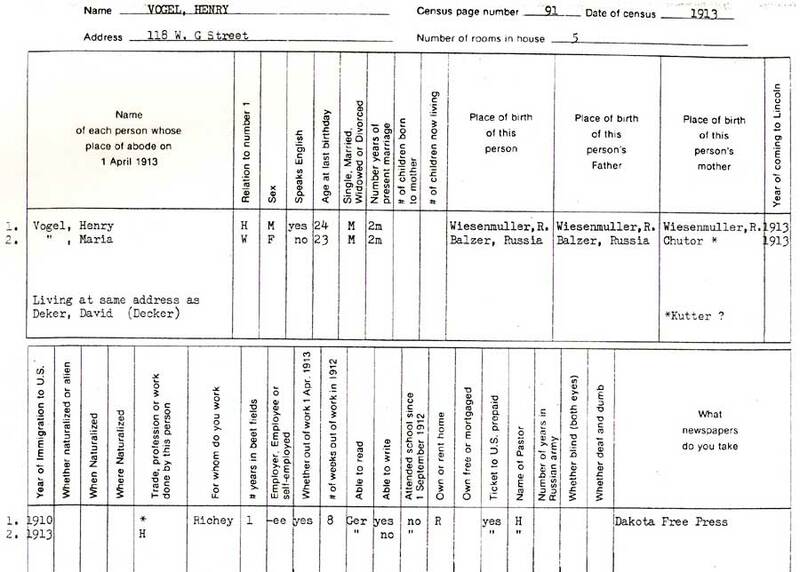 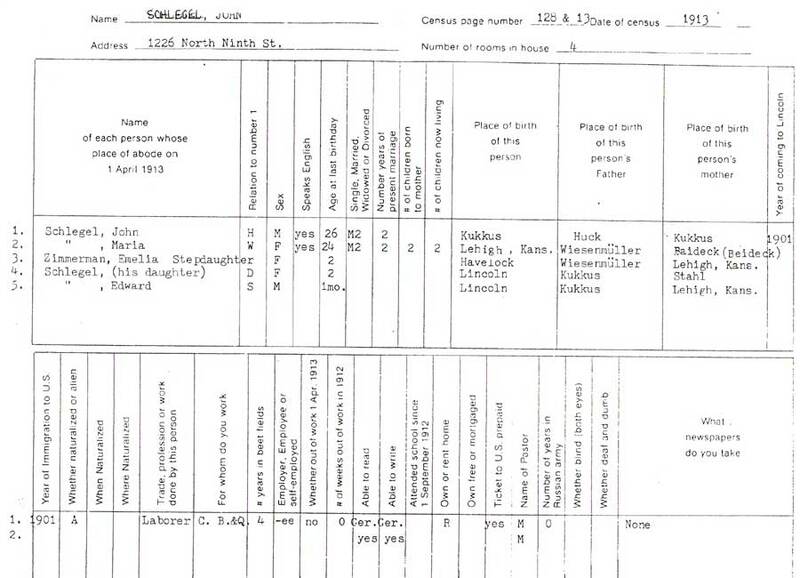 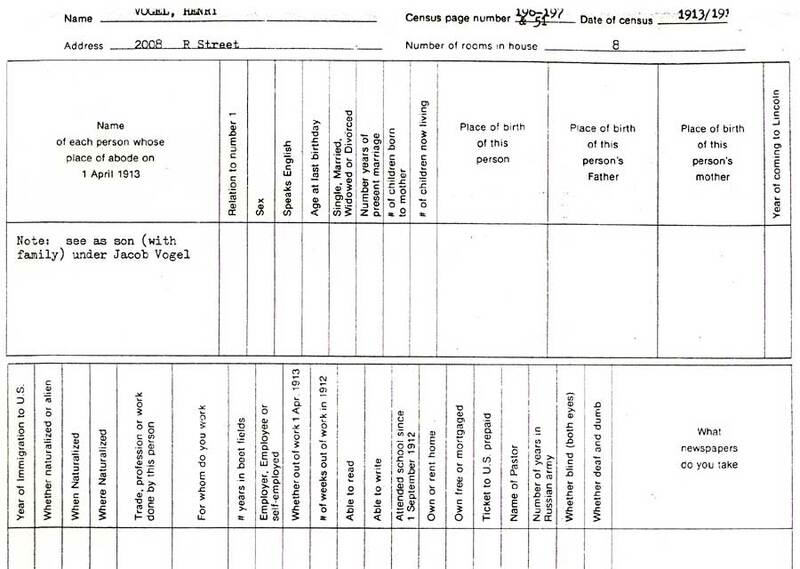 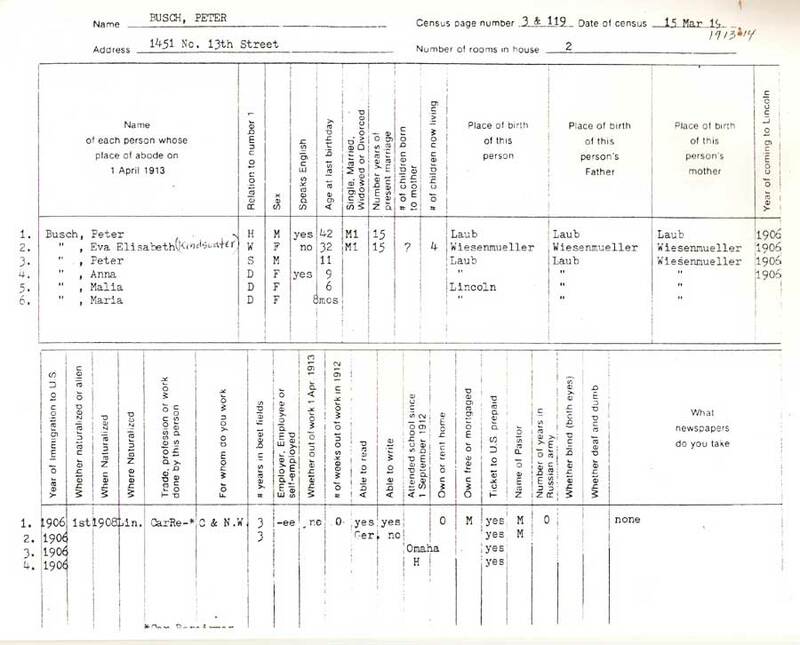 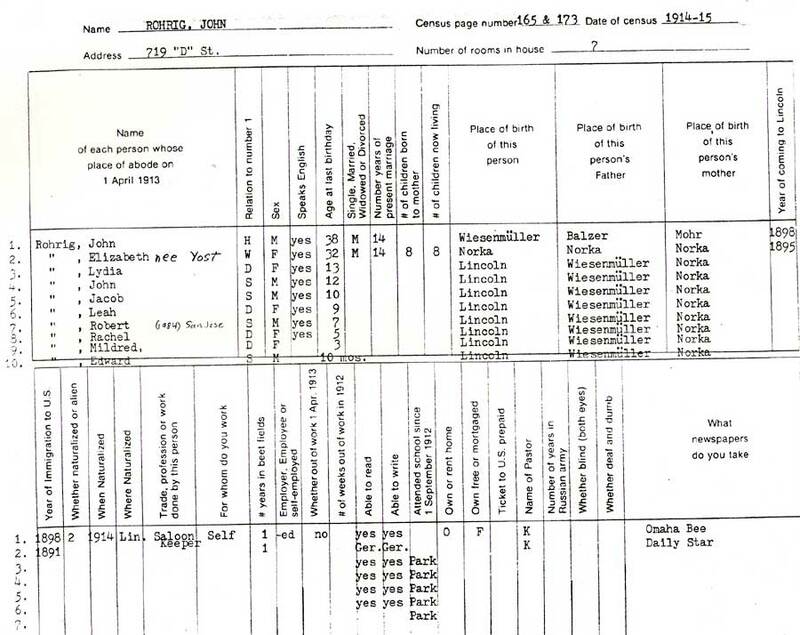 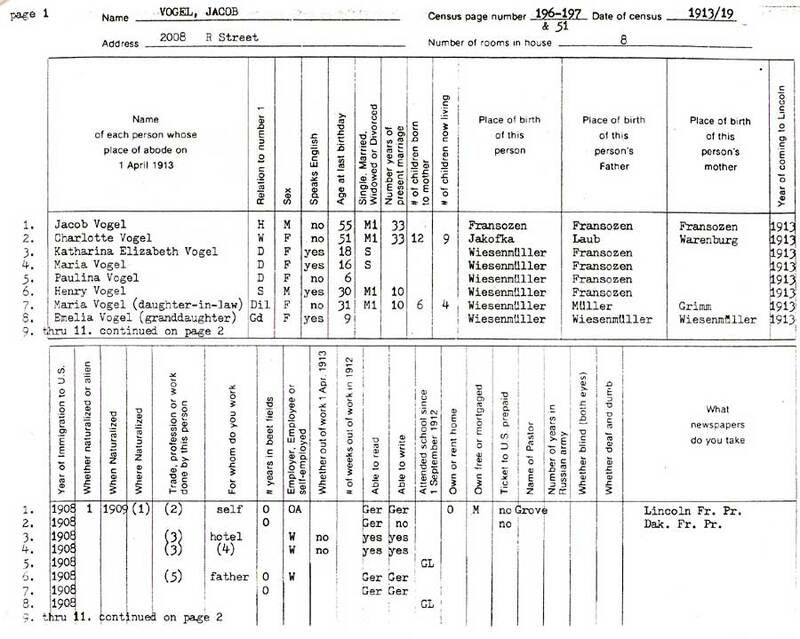 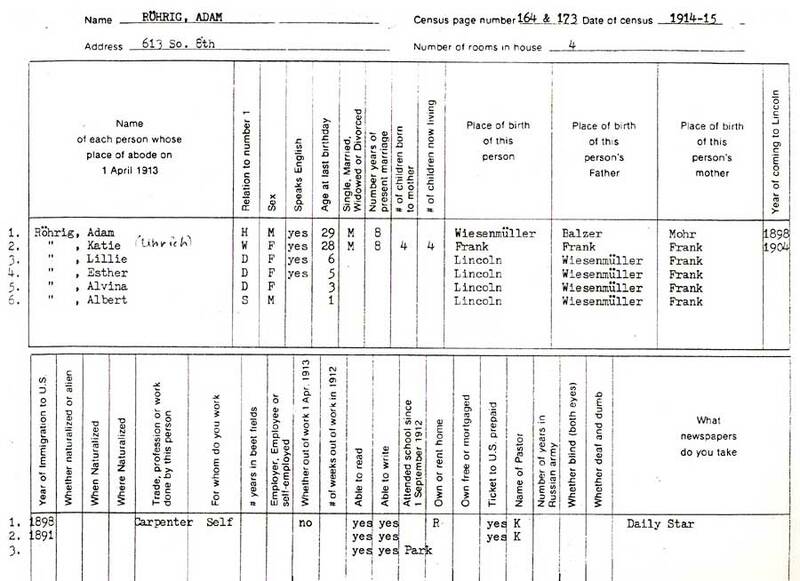 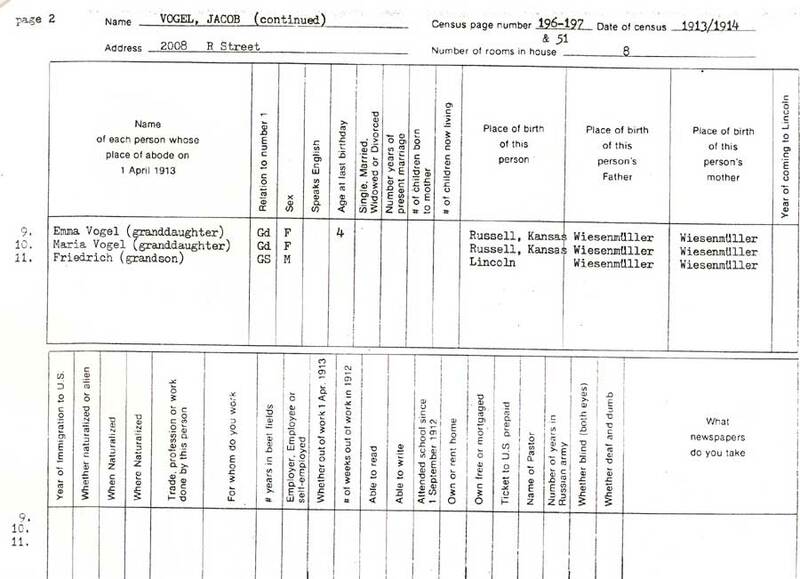 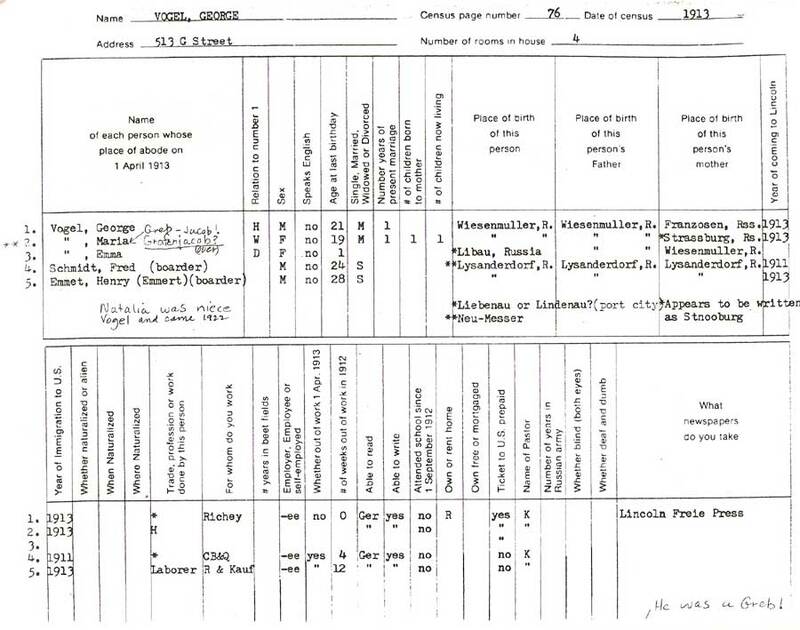 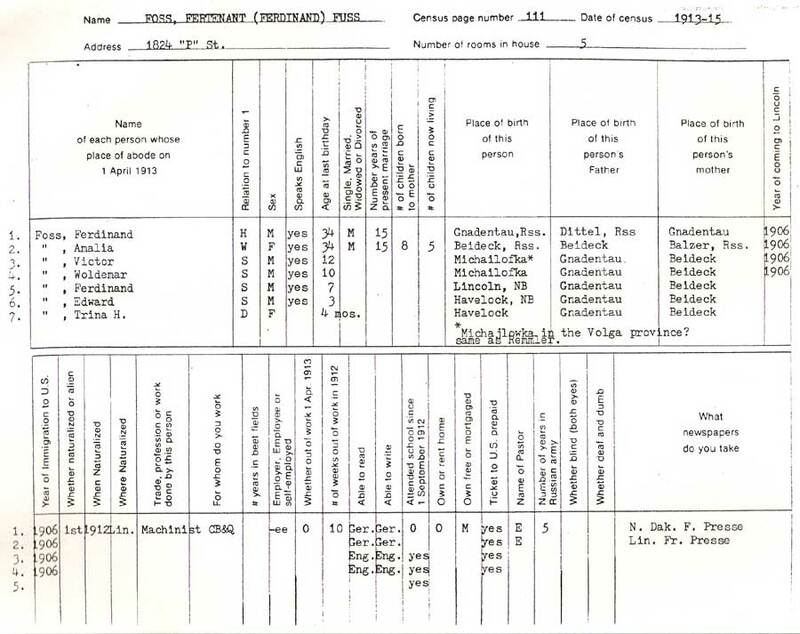 Using the 1910 federal census form, but changing the headings, she interviewed those identified as from the German villages in Russia. 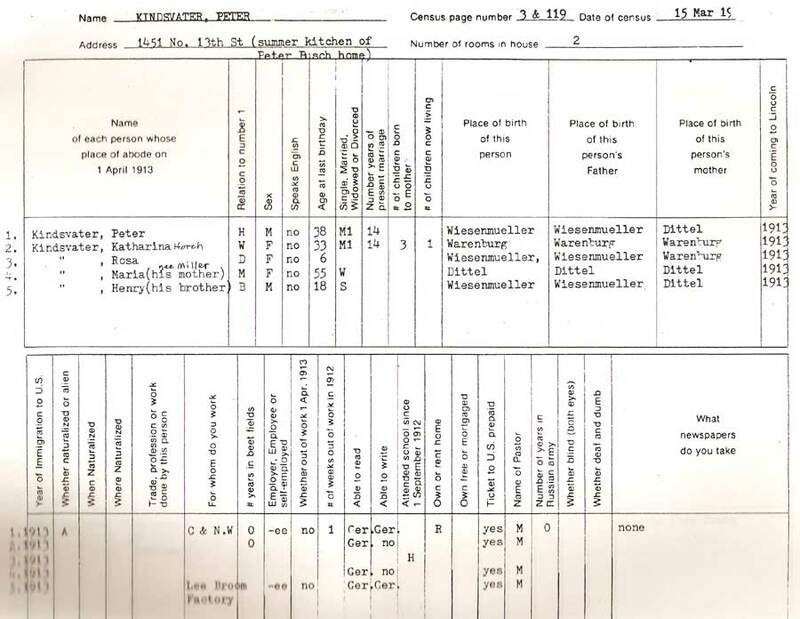 Information includes place of birth for the individuals, as well as their parents, age, number years married, year coming to Lincoln, ability to speak and write (German and or English), length of time in school, number of years in the Russian army and much more. 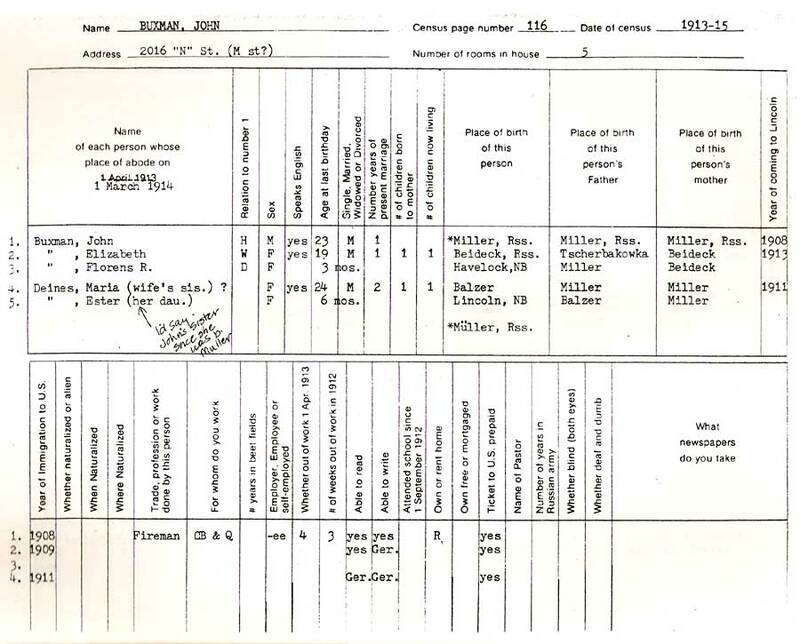 Thanks to Betty Ashley for providing us with this data.